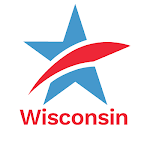 Common Cause Wisconsin: Make Sure You Are Ready to Vote on Tuesday, April 4th! Make Sure You Are Ready to Vote on Tuesday, April 4th! A Spring election may not seem like a big deal, but make no mistake – every election matters. Tomorrow we choose Wisconsin's Superintendent of Public Instruction, the person who will determine what our state's educational landscape will look like for the next four years. We'll also cast a vote for a Supreme Court Justice, Court of Appeals Judge (in Districts 1, 2, and 4) and various members of our local governments. Do NOT sit this election out. Make sure you are ready NOW to go to the polls tomorrow. You can ask for AND vote with a provisional ballot. But, for your ballot to be counted, you MUST either come back to your polling place with an acceptable form of ID before it closes at 8:00 pm tomorrow OR bring your ID to your municipal clerk's office by 4:00 pm the Friday after the election (April 7th). Remember – EVERY election is important. Make your voice heard tomorrow! Make Sure You Are Ready to Vote on Tuesday, April 4th!Tweet this!